Located downtown, this property is over 150 yrs old! Spread over 3 stories and 3800 sq ft, this property is offers unique and spacious units, office space and bonus common spaces. 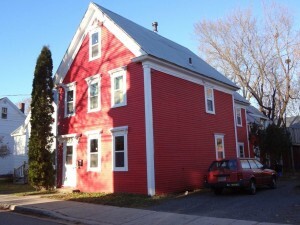 The one bedroom unit in back is a spacious loft with second level deck with access to the back yard.